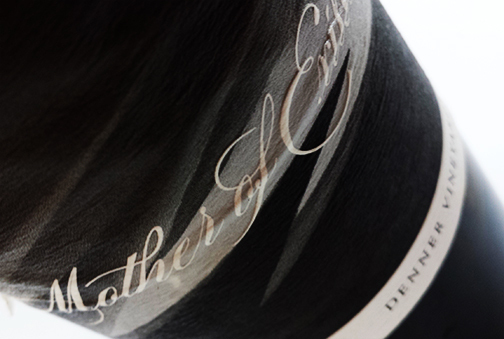 Denner Vineyards’ ‘Mother of Exiles’ doesn’t sound like a bottle of wine, it sounds more like a movie about the matriarchal leader of rebels crouching in the jungle. 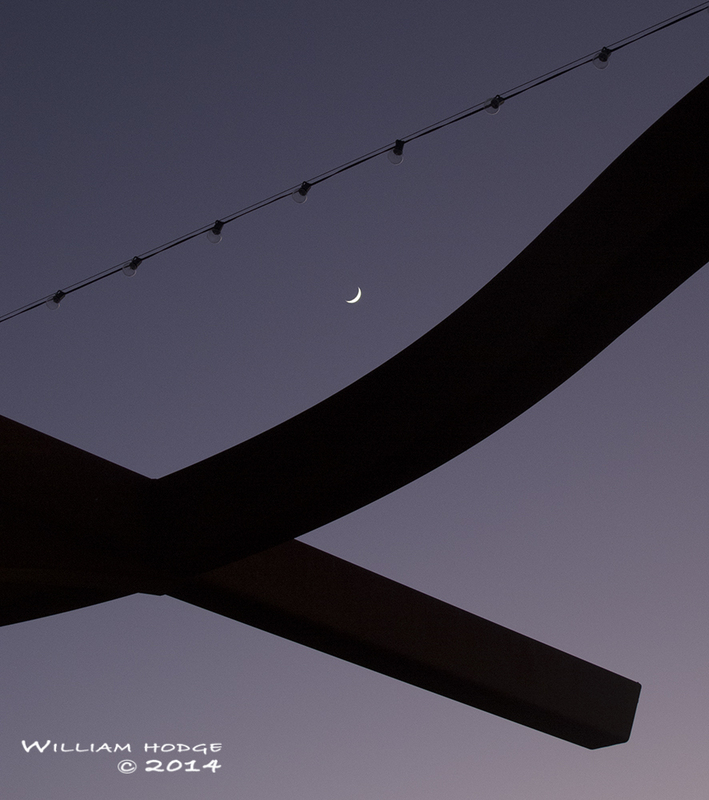 Denner’s distinct architecture frames a recent crescent moon. Denner’s owner, Ron Denner, has a penchant for giving his wines avant-garde monikers evoking emotional links to the earth. Names like Ditch Digger and Dirt Worshiper along with the usual Zinfandel, Rose, Grenache and Cabernet Sauvignon which fill the winery with tasty wine. When we first found the vineyard in 2008, we found their entire flight to be savory. As we’ve said many times, while wine tasting you kiss a lot of ugly frogs before you find your beautiful prince or princess. Typically you’ll taste lower tier wines as you ascend the list, tasting better and better wine. Wineries hope you’ll buy the upper tier wines after tasting the lower tier wines. It’s a fair marketing technique. Our 2010 version of Mother of Exiles comes from this small vineyard of 156 acres west of Paso Robles. Only 45 acres are tilled for Denner wine. The rest is sold to the likes of Justin Winery, Villa Creek Cellars and Linne Calodo. The terrior is affected a great deal by the coastal weather creeping up through Templeton Gap overnight, yet allows large diurnal temperature swings during the day’s sunshine. Lots of cool moisture, lots of warm and dry daytime conditions. The world was turned upside down for this winery in 2011 when Wine Spectator ranked Denner’s 2008 Dirt Worshipper the 11th spot on the Top 100 Wines of the year. Robert Parker and their writers gave 18 of Denner wines scores higher than 90. Cases flew out the door, heading to well informed wine collectors. With the wine in high demand, wine vintages were sold out and while club members received their allotments, much of their wine was not available in the tasting room. It was so bad during one of our visits, they posessed only two wines available for tasting: Viognier and Syrah. We found during this time their customer service was poor, as they had very little to sell while struggling to play the role of host with limited wine to share. Things have changed for the better though. The tasting room remains open to only club members and their friends and you must make an appointment (no matter who you are) to visit and savor their wine. Their wine club, Krewe Comus Club, is full. You may request to be on the wait list. During our recent visit we found customer service to be much better, though not as cordial as most wine tasting rooms. If you can find a bottle, you owe it to yourself to try one of their bottles of wines. And if you’re visiting Paso Robles, take advantage of any friends you may know in Krewe Comus Club and ask for a referral to visit their winery. You’ll enjoy your time visiting, tasting, savoring. This entry was posted in Blend, Coastal Valley Trail - NW Quadrant, Paso Robles AVA, The Pleasures of Tasting Wine.